“A group of determined women is a force to be reckoned with.” These are the words of Dr. Jessie Gray, one of the great pioneers of Women’s College Hospital and the first female surgeon in Canada. She was describing the women who founded WCH over 130 years ago through the power of vision, courage and determination, and the medical leaders who carry that legacy forward today. As a dedicated WCH supporter, you make the continuation of this extraordinary legacy possible. That’s why, this International Women’s Day, we’re celebrating you and our entire community of generous donors. Thank you — you’re changing the world for women and their families. Arlene Carpenter says that the world-leading research taking place at Women’s College Hospital not only saved her life, but let her become the grandmother she always dreamed of being. Click through to read about Arlene’s incredible journey and how you can support the program that saved her life. Women’s College Research Institute (WCRI) is one of only a few hospital-based research institutes in the world focused on advancing the health of women. This year, WCRI is celebrating two decades of groundbreaking hereditary cancer research — science that has saved and transformed the lives of countless women and families. This work would not be possible without your generous support and enduring belief in the power of Women’s College Hospital. Read about some of the extraordinary developments in cancer research that have taken place over the past 20 years in WCRI’s recent annual report. Colleen Moorehead is a passionate WCH Foundation board member, donor, volunteer and former long-time co-chair of Women for Women's, the Foundation’s annual signature fundraising event. For Colleen, supporting Women’s College Hospital is personal: having lost a loved one to inherited breast cancer, she is committed to ensuring WCH can continue to conduct world-leading women’s health research that will save countless lives. 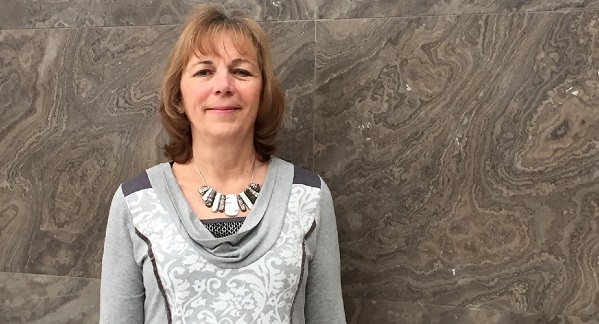 Click through to hear Colleen tell her Women’s College Hospital story. Join us on Saturday, June 11 for the annual SHOPPERS LOVE. YOU. Run for Women supporting WCH’s Women’s Mental Health Program. This year’s 5K & 10K walk/run will start and finish in downtown Toronto in front of Women’s College Hospital! Save the date! Women for Women’s, WCH Foundation’s annual signature fundraising luncheon, will be held on Thursday, November 10, 2016, at The Fairmont Royal York Hotel.